Any final is a significant one, and The Championship was no different in the NASL at the weekend. It was the first time since 1984 that the NASL season finale was contested between a team from the United States and one from Canada. And it proved to be a match to remember for the New York Cosmos, who hoisted the Soccer Bowl Trophy after defeating Ottawa Fury 3-2 in front of 10,166 fans. The game was also a momentous one for PRO’s Alan Kelly, with it being his first experience of a final in North America. The referee spoke of his pride after the game, and reserved praise for his crew of Oscar Mitchell-Carvalho (AR1), Kyle Atkins (AR2), Mark Kadlecik (4th) and Eric Weisbrod (5th). “It’s always an honor to be appointed to a final and it was my first experience of one in North America,” Kelly, who has previously refereed in the European Champions League and World Cup qualifiers, reflected. “There was a fantastic atmosphere with two really committed teams. “We [the crew] spent the day with each other which was a big help as I hadn’t worked with one of my ARs, Kyle Atkins before. So that time gave us an opportunity to discuss the game and our tactical approach which was good. There was familiarity though, as I’d worked with all the other guys. “What we discussed pre-game and my expectations from the crew were how the guys carried out their respective work in a very professional way, which contributed to a very efficient team performance. 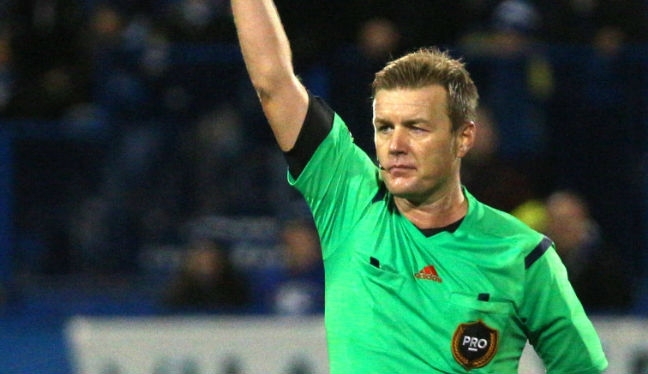 A native of Ireland, Kelly has become a regular in MLS since his move to North America, and was named Referee of the Year for 2015 after being assigned to 21 games. His focus is now on recovery, and the festive season, ahead of 2016. “It’s been a long, demanding season both physically and mentally,” he added. “It’s important to have that down time but also important to look after your nutritional requirements. “I’m looking forward to spending time with my wife and children and also heading over to Ireland to spend Christmas with family and friends.